Opening times Mon–Sat 8am–6.30pm; Sun 10am–5pm. Half post office, half café, a designer’s hand is evident here in this small but stylish soup and sandwich place. The white subway tiles behind the counter and the materials, from stained wooden to shiny red metal chairs, lend this café a bohemian feel. Alongside an artistic array of cards, there’s a small but perfectly formed selection of homemade sandwiches such as mozzarella, sun-dried tomato and homemade pesto, as well as really good soup – the Thai green curry with lentil is warm with gentle heat and richly textured. The attention to detail continues in their coffee and local tea supplied by the Wee Tea Company. Cakes may threaten to underwhelm, with the exception of the cheesecake, which they make themselves. Because it’s close to the Botanics, it’s kid-friendly, and you might have to snake your way between buggies to find a seat. But friendly staff, who clearly take pride in what they do, help to make this café more than an add-on to somewhere you can buy stamps. 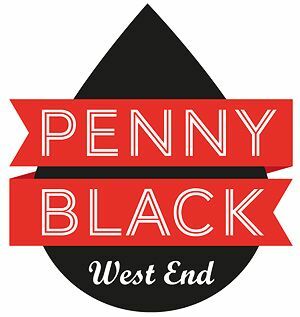 We are an independent specialty drinks café, post office and shop slap bang in the middle of the West End of Glasgow. You can expect exciting and friendly menus, an accessible venue and opening times, the convenience of top notch local post office services and a unique card, stationer and gift shop.